The UK is set to ban the sale of plastic straws and drinks stirrers that blight the country’s seas and rivers, government ministers have announced. In the latest move to tackle the escalating plastic waste problem, environment secretary Michael Gove said it is “vital we act now” to eliminate straws from use – with 8.5 billion thrown away every year. The ban, which also covers plastic-stemmed cotton buds, is being announced at the start of the Commonwealth Heads of Government Meeting today, where the UK will commit £61m to develop new ways of clearing up plastics. It follows a string of announcements from Gove’s department as he pushes to stake out environmental issues as Conservative political territory, with campaigners now encouraged to push for progress in other areas too. The Independent newspaper is currently calling on ministers to implement a 25p “latte levy” on disposable coffee cups, for example, which are almost impossible to recycle effectively. Outlining the new ban, which will be subject to a consultation starting later this year, the cabinet minister said: “Single-use plastics are a scourge on our seas and lethal to our precious environment and wildlife so it is vital we act now. “We have already banned harmful microbeads and cut plastic bag use, and now we want to take action on straws, stirrers and cotton buds to help protect our marine life. 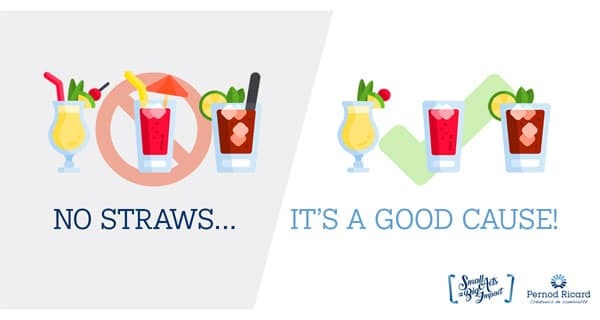 Single-use plastic items such as straws, stirrers and plastic-stemmed cotton buds have a significant impact on the environment when they are either littered or discarded incorrectly after use. Under the proposals, the sale of the items would be outlawed in England as part of the government’s 25-year environment plan to eliminate avoidable plastic waste. Among businesses making headway on plastics is take-away company Deliveroo, which set out to give customers an opt out of receiving plastic cutlery, leading to a 91 per cent fall in their use. Deliveroo also said it will double the number of environmentally-friendly straws offered to restaurants for free after 150,000 have already been given away to restaurants. At the Commonwealth meeting this week the prime minister will urge all Commonwealth countries to sign-up to the newly-formed Commonwealth Clean Oceans Alliance and take action – either by banning microbeads, cutting down on single use plastic bags or other steps. To drive this forward the ministers will commit £61.4m to boost global research and help other countries stop plastic waste from entering the oceans in the first place. The prime minister added: “The Commonwealth is a unique organisation, with a huge diversity of wildlife, environments and coastlines. The Treasury has also launched a call for evidence on how charges and changes to the tax system could be used to reduce single use plastics.